Snapshot – A 4 wheel drive system equipped SUV can get you out of many a sticky situation, especially when grip is lost on surfaces such as sand, mud, slush, and for that matter even the rocks. There are a wide range of SUVs available with the four wheel drive functions in India. CarToq lists out all the 4 wheel drive SUVs sold in India, which are priced under 25 lakh rupees. Note: We’re not adding “soft roaders” with all wheel drive systems to this list. All prices reflect ex-showroom Delhi figures. Known as the mountain goat, the Maruti Gypsy is known for its nimble manners off the road. On road, the Gypsy’ bumpy ride quality puts off all but the most dedicated off roaders. 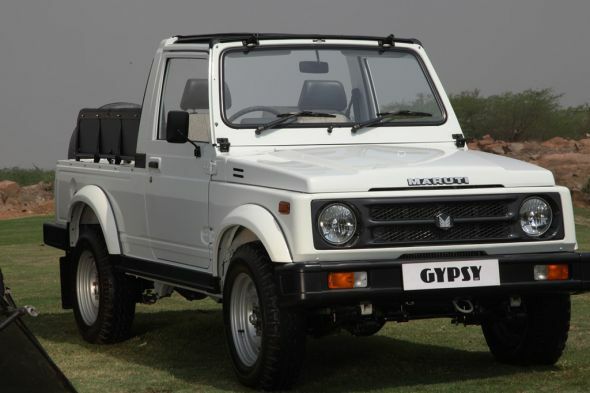 Built mainly for the Indian armed and paramilitary forces, the Gypsy is also available on order for civilians. The off roader is powered by a 1.2 liter-4 cylinder petrol engine that outputs 80 Bhp-103 Nm. Transmission is by means of a five speed manual gearbox. A four wheel drive system with low ratio is standard with the Gypsy, which is also the lightest 4X4 SUV in India, with a 985 kilogram kerb weight. The Gypsy is sold in soft top and hard top models. Another dedicated off roader, the Mahindra Thar is a body-on-ladder SUV, whose DI engined 4X4 variant is the least priced 4X4 SUV that money can buy in India. 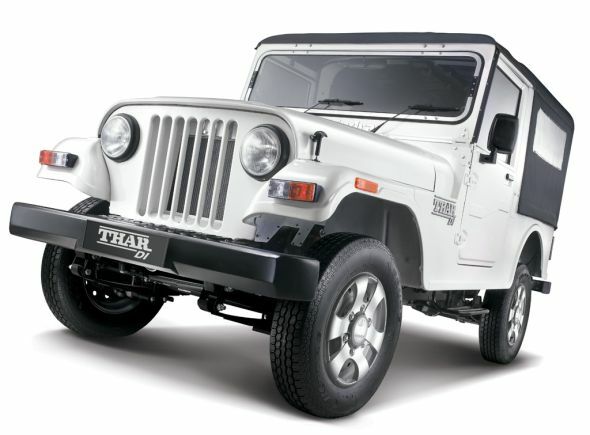 The Thar DI is powered by a 2.5 liter direct injection diesel engine that outputs 63 Bhp-182.5 Nm. The Thar DI only meets BS3 emission norms, making it ineligible for sale in most cities. City slickers have the option of the Thar CRDe, which gets a 2.5 liter common rail turbo diesel engine that outputs 105 Bhp-247 Nm. The Thar CRDe gets air conditioning as an option. While the Thar DI starts at 5.31 lakh rupees, the Thar CRDe is priced at 7.4 lakh rupees. The Scorpio Getaway is the twin cab pick up up truck version of the body-on-ladder SUV. The Getaway is powered by a 2.6 liter CRDe turbo diesel engine that outputs 115 Bhp-280 Nm. The engine gets a 5 speed manual gearbox that drives all four wheels through a 4X4 system. The 4 wheel drive system comes in low and high ratios. 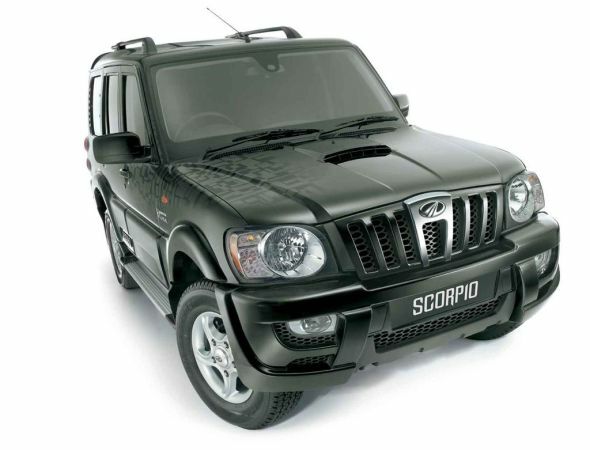 The Scorpio Getaway is priced at 8.76 lakh rupees. The Getaway is available only as a BS3 model, which means that it can’t be registered in BS4 cities of India. Mahindra offers two 4X4 variants of the Scorpio in the form of the LX and VLX variants. While the LX variant is an entry level model that is priced at 9.92 lakh rupees, the VLX model is loaded to the gills with creature comforts and features, with the inclusions resulting in the price bloating to 12.17 lakh rupees. Both Scorpio variants are powered by the 2.2 liter mHawk turbo diesel engine that outputs 120 Bhp-290 Nm. A five speed manual gearbox is standard. As an option, Mahindra offers a six speed automatic gearbox on the Scorpio VLX 4X4 variant, albeit with a higher price tag of 12.33 lakh rupees. 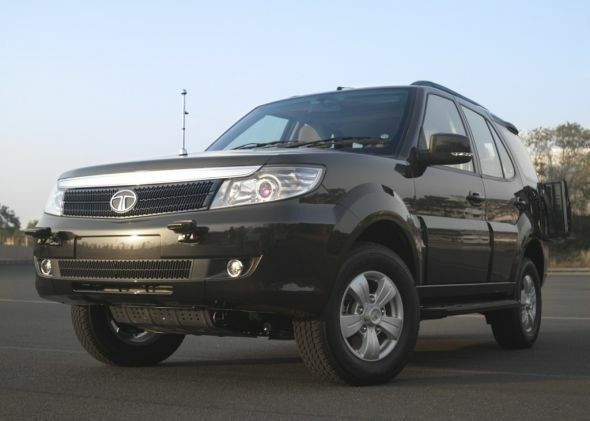 When Tata Motors introduced the Safari Storme as an improvement over the Safari 2.2 DICOR, the automaker discontinued the 4X4 variants of the Safari 2.2 DICOR, instead introducing this feature on the Storme. 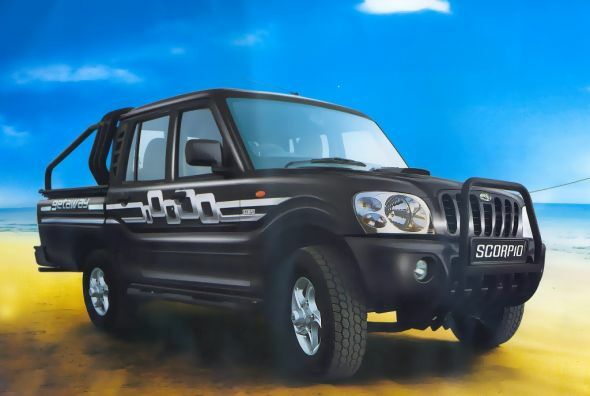 The Storme, like the Safari 2.2, features a 2.2 liter turbo diesel engine good for 138 Bhp-320 Nm. A five speed manual gearbox is standard. The Safari Storme gets a four wheel drive function on its top end VX variant, and is priced at 14.47 lakh rupees. The Ssangyong Rexton RX5 is one of the lower priced luxury SUVs in India, with its four wheel drive equipped RX5 variant starting at 18.52 lakh rupees. 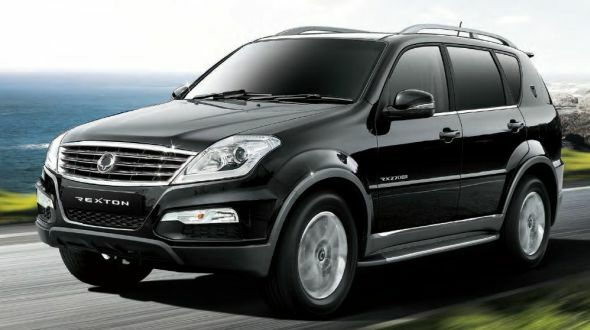 The Rexton is powered by a 2.7 liter-5 cylinder turbo diesel engine that outputs 162 Bhp-340 Nm. The engine gets a 5 speed manual gearbox with the 4 wheel drive system getting a knob to select low and high ratios. The Rexton is also available with a 5 speed automatic gearbox that gets an all wheel drive system. The 2.7 liter turbo diesel engine outputs 184 Bhp-402 Nm on the automatic variant of the Rexton. 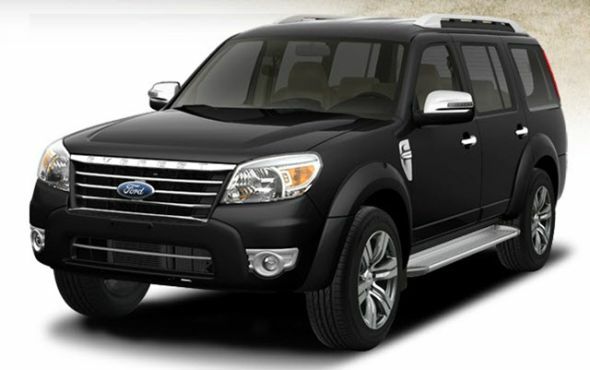 The Ford Endeavour SUV’s top end variant gets a 3 liter turbo diesel engine and a 5 speed automatic gearbox, along with a 4 wheel drive system with low and high ratios. The SUV’s 3 liter TDCI diesel engine outputs 154 Bhp-380 Nm. Assembled in India at Ford’s Maramalainagar factory, off Chennai, the Endeavour SUV is priced at 22.05 lakh rupees. The Endeavour is a seven seat SUV whose claims to fame are its butch looks and imposing size. The best selling luxury in India, the Toyota Fortuner outsells every other luxury SUV many times over. Based on the Toyota IMV platform, the Fortuner shares its base with the legendary Hilux pick up truck. 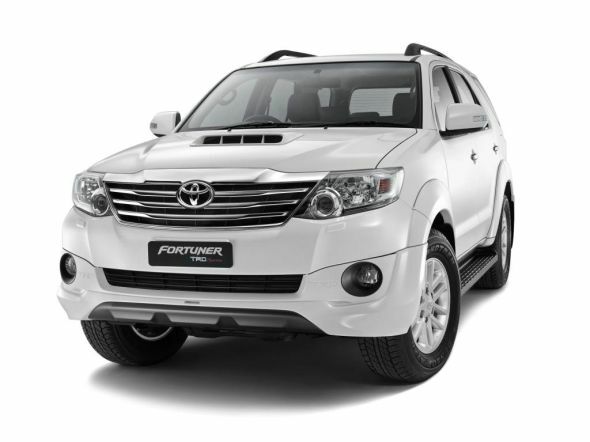 The Fortuner is powered by a 3 liter D-4D turbo diesel engine in a four cylinder layout. The motor outputs 169 Bhp-343 Nm and gets a 5 speed manual gearbox as standard fare. The 4X4 MT version of the Fortuner is priced at 23.06 lakh rupees. 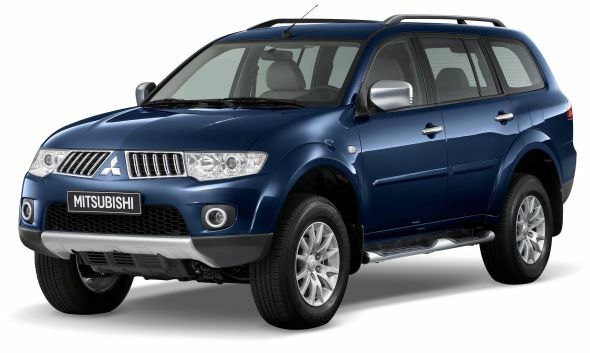 Like the Fortuner, the Mitsubishi Pajero Sport SUV owes its origins to a pick up truck, in this case the Triton. The Pajero Sport is powered by a 2.5 liter turbo diesel engine that outputs 176 Bhp-400 Nm. The gearbox is a five speed unit although Mitsubishi will offer an automatic gearbox with the Pajero Sport by the end of this year. One of the better selling luxury SUVs in India, the Pajero Sport outclasses the Fortuner when it comes to the ride and handling departments. The SUV is priced at 23.50 lakh rupees.